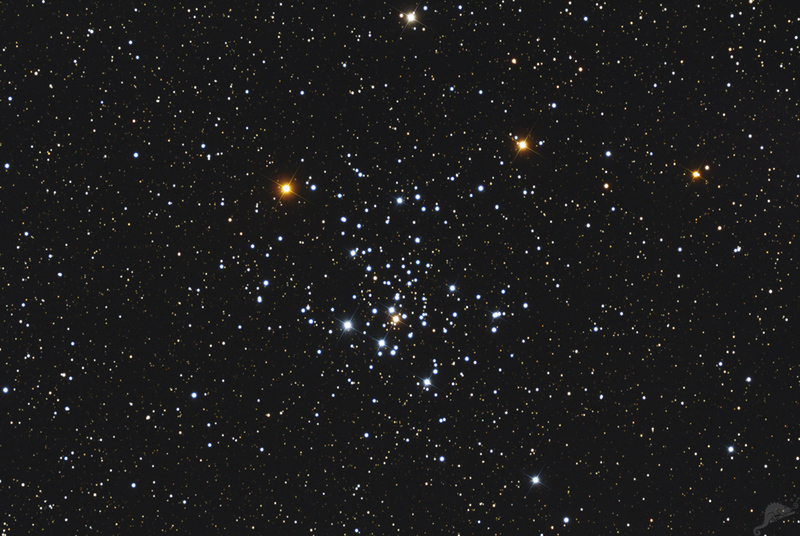 The open star cluster NGC 2516 in the constellation Carina is located at a distance of about 1300 light years. 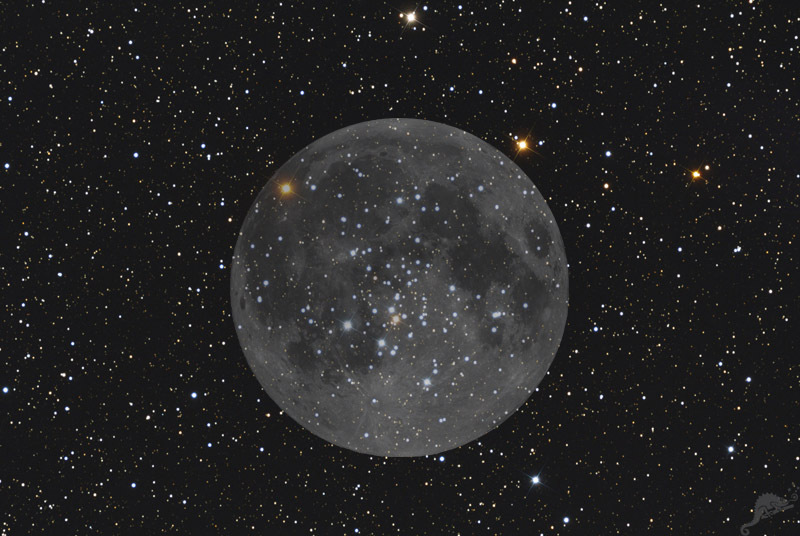 The apparent diameter in the sky is about 30 arcminutes, corresponding to the diameter of the Moon. 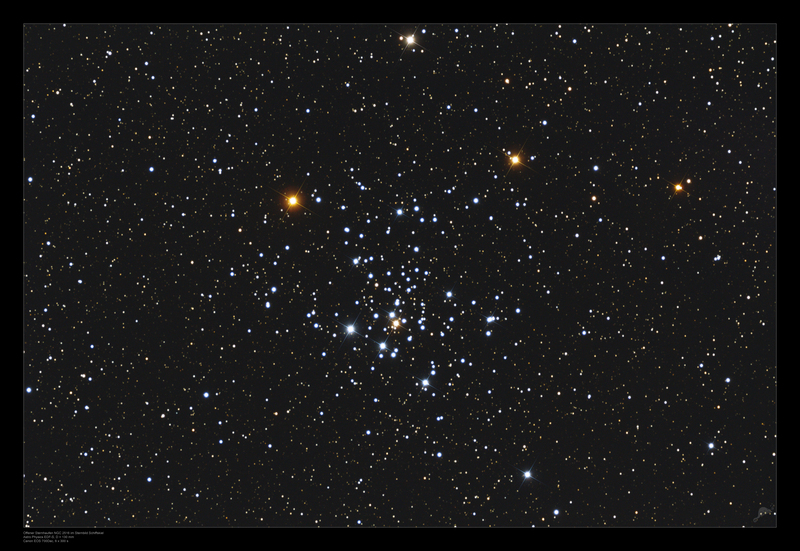 The age of NGC 2516 has be determined to 135 million years. 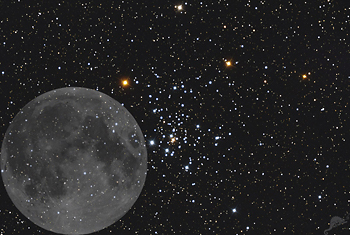 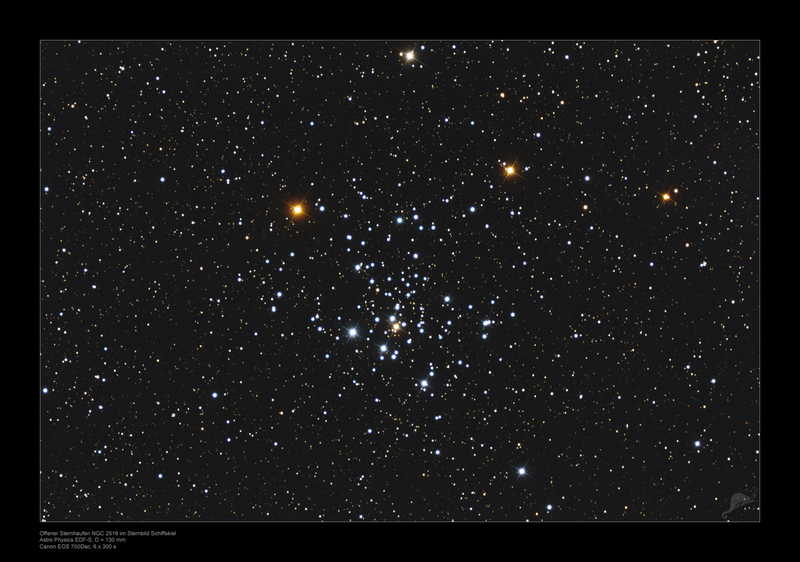 The cluster can be seen with th enaked eye as a faint hazy patch in the sky.